As an associate for HCM Strategists’ postsecondary team, Zainab pairs a background in mental health with a passion for equity in higher education to work towards a system that ensures access to education for all students. Most recently, Zainab worked at the American Council on Education (ACE) promoting and studying free speech on college campuses and the tools college presidents have in their wheelhouse to impact freedom for all students. Prior to this role, Zainab supported research with the Institute of Higher Education Policy (IHEP) on reducing prison recidivism through partnerships between prisons and institutes of higher education. She also completed an internship with Lumina Foundation where she supported their goal of increasing degree attainment across the nation. Zainab’s passion for equity in education was ignited in her varying roles with the University of Maryland, College Park. While serving as a university admissions officer, then as the undergraduate director for the department of family science in the School of Public Health, Zainab saw first-hand how significant institutional policies were in ensuring learners were supported to succeed. Zainab is committed to developing policies that work for allstudents including first-generation college students, veterans and returning adult students. As a licensed marriage and family therapist, Zainab specialized on teens and young adults suffering with depression and anxiety. Her experience in the mental health field amplifies the importance of equity – especially for students of color and minority populations – as she witnessed the damaging consequences a lack of clear educational pathways can have for young people, their self-esteem and their future. Zainab graduated from the University of Maryland – College Park with a bachelor’s degree in Family Science. She also holds a master’s in Marriage and Family Therapy from Syracuse University. Zainab is currently completing her doctoral degree in higher education administration with a focus on policy from The George Washington University. 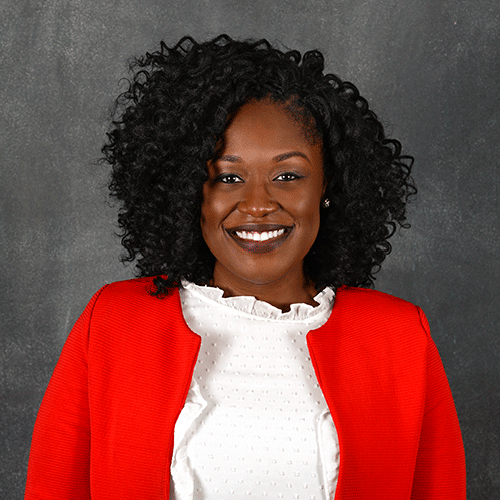 Her dissertation focuses on the impacts of cultural wealth on the enrollment, persist and graduation outcomes of first-generation college students. During her free time, Zainab loves all things music– from singing to writing. A newbie to Denver, Colorado, she looks forward to rooting for the Colorado Rockies while settling into her new home.